Skylights provide rooms with a brighter, more open and airy feeling beyond what standard windows can offer. Skylights, however, don't help with naptime, and have the potential to let sunlight overheat your rooms in summer and heat to escape in winter. 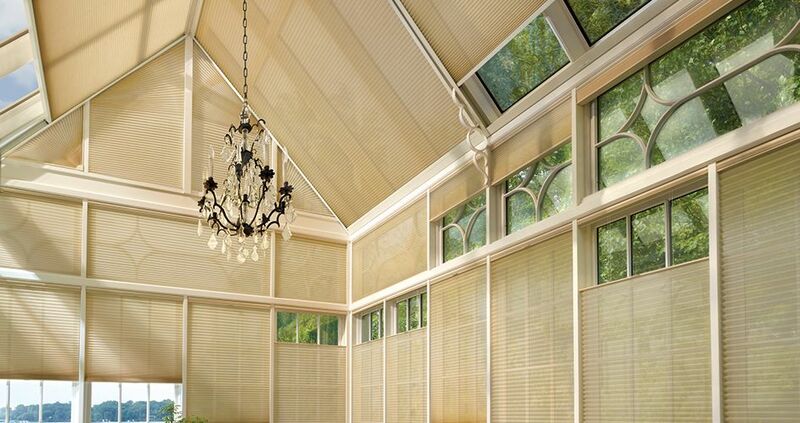 At Hunter Douglas, we have skylight shades that will help you stay comfortable all year round. Pay close attention to where your skylights are located. If they're in areas where you get a lot of sun—especially bedrooms or media rooms—you might want to consider skylight shades with a room-darkening or blackout fabric. 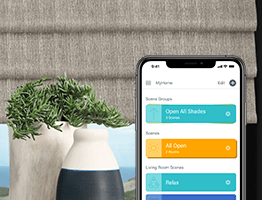 And if they're in rooms like kitchens that don't require complete darkness, choose a fabric that will bring in natural light while still blocking harsh rays. Keep in mind, though, that skylights are often focal points of a room, so you'll want a skylight window covering that doesn't detract from the décor, but adds to the overall style. 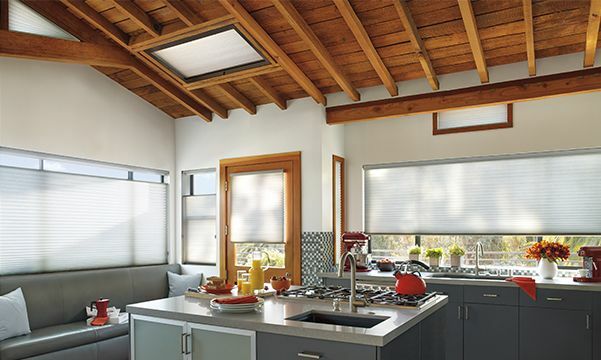 Cellular shades like Duette® Honeycomb Shades, are one of the most popular skylight window treatments because their cellular design provides a layer of insulation at the window. 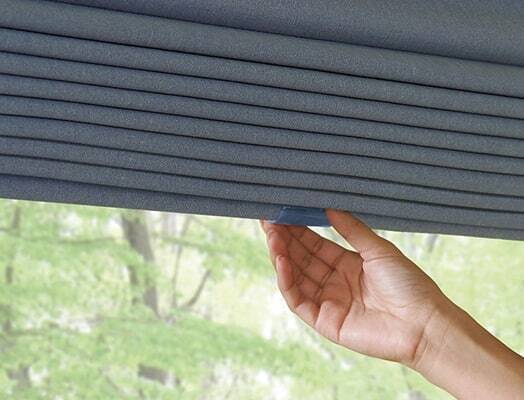 For even more energy efficiency, there's a honeycomb-within-a-honeycomb shade called Duette® Architella® that features more layers of fabric and insulating air pockets. Considering how much sun might be coming through your skylights and the fact that up to 50% of a home's heating and cooling energy can be lost through your windows, Duette Architella shades can be a very worthwhile investment. 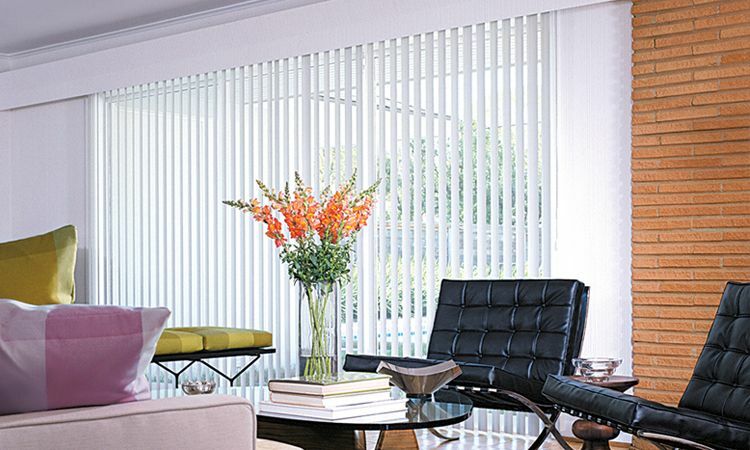 It's easy to find operating systems made specially for skylight blinds and shades. 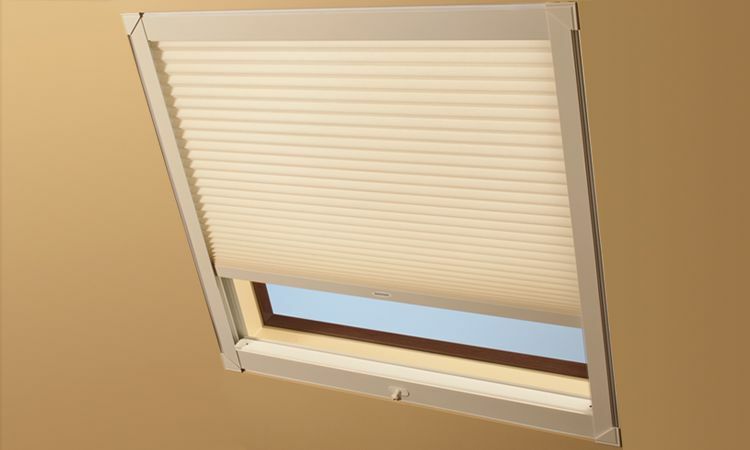 For example, Duette and Duette Architella honeycomb shades are available with a Skylift™ system that lets you control your shades either manually with a hand crank or telescoping pole for hard-to-reach skylight windows, or automatically with the PowerView® Motorization system. 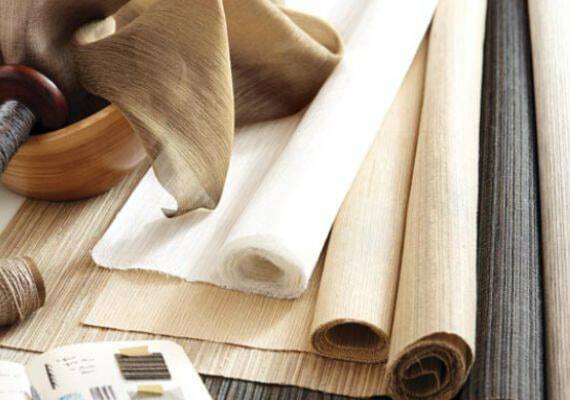 Skylight vertical blinds are also great window treatments for skylight windows because you can find such a wide range of colors and textures to fit any décor, from traditional to contemporary. 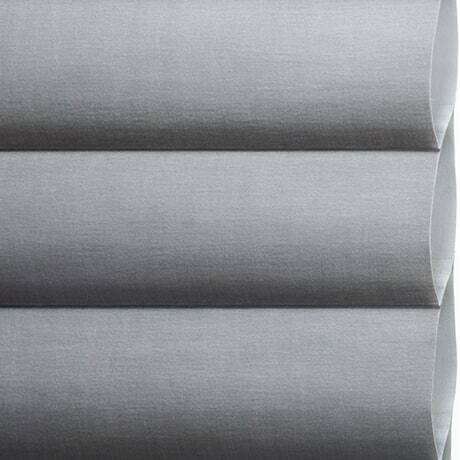 Somner® Custom Vertical Blinds, for instance, are available with a variety of design options in fabric, vinyl and aluminum. 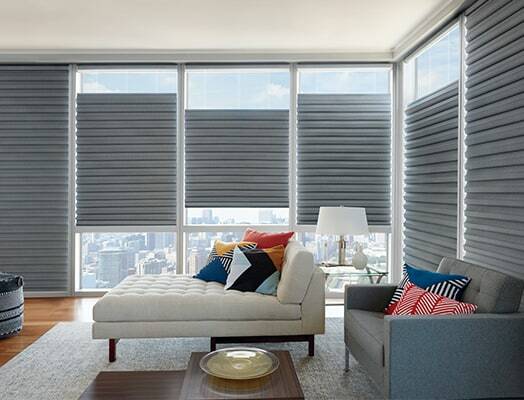 A really nice feature is that they offer 75% UV protection, which can help prevent your furnishings from fading. Vertical Solutions® Vertical Blinds are an excellent choice for skylights too and come in numerous styles in fabric and vinyl. 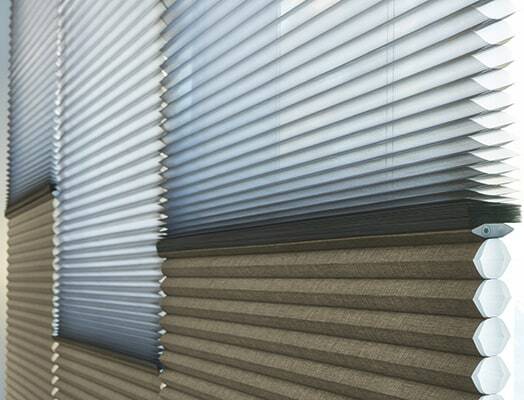 Like Somner, Vertical Solutions blinds offer 75% UV protection and help reduce outside noise. Our SkyLift™ skylight system, available on our Duette® Honeycomb Shades, is specifically suited for skylights, and is offered with PowerView® Motorization or as a manually operated system. SkyLift is perfect for very large, hard-to-reach, overhead windows. 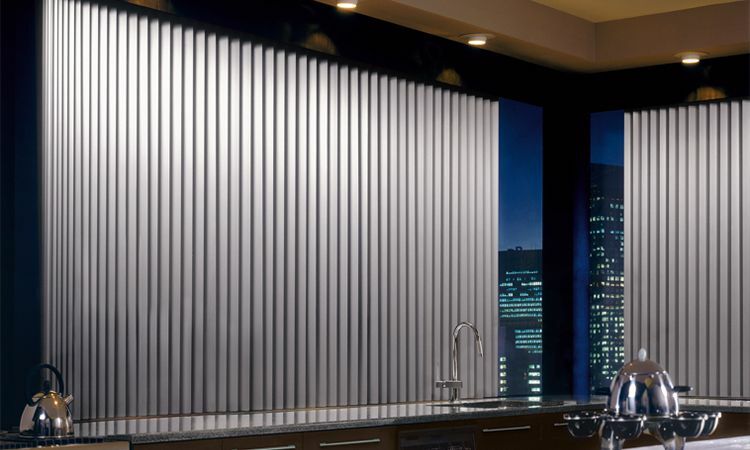 Somner® Custom Vertical Blinds offer skylight solutions that provide full rotation and traverse capabilities and are available as left, right, center or split stack. Vertical Solutions® are another choice for skylights offering the same options as Somner but with differing color and material selections.